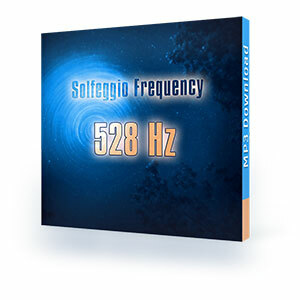 Free 528 Hz Music - Download the Love Frequency now! then click on the button! I tested the MP3 at 528 Hz around 20 times. I am excited about what can be achieved with this single frequency - talking about meditating. Relatively quickly removed disturbing thoughts. It feels like right and left brain halves synchronize. A pleasant calmness unfolds and floods my body, still feeling it in the lower abdomen. In both hands, especially in the fingers, the effect is felt the most, feels like a slight tingling. When I place my hands on my thighs, this effect is transferred to both my legs. I have now downloaded part 1 and 2 and let myself be surprised what the rest of the frequencies can do.